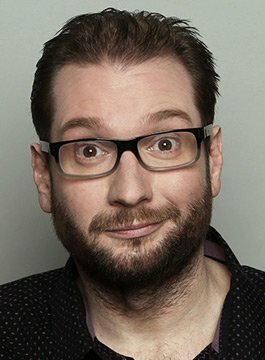 Gary Delaney is an award-winning stand-up comedian recognised as one of the best one-liner comics in the UK. He’s like a cheeky schoolboy and the audience can’t help but be carried along by his infectious charm. Long regarded as a ‘master craftsman’ (The Times), with ‘more quality jokes in a single show than most comics have in their careers’ (The Scotsman), Gary is one of the finest practitioners of one-liners in the UK. In 2016, Gary’s show ‘There’s Something About Gary’ was a massive hit, gathering an abundance of four and five-star reviews at the Edinburgh Fringe and extended to more than 100 shows nationwide. Gary’s the only comic to have two gags featured in the same top 10 for Dave’s TV Funniest Jokes from the Edinburgh Fringe.